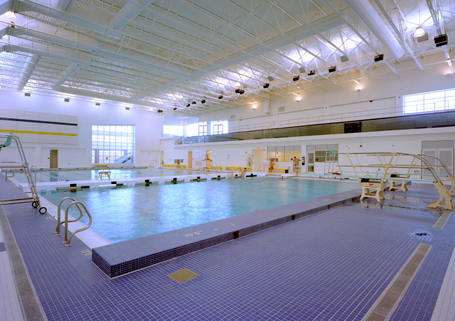 Counsilman-Hunsaker, in association with TMP Associates, was commissioned to design a world-class aquatic facility for Oxford High School. The pool has a water depth of 13 ft. 6 in. at the deep end, while the shallow end’s depth is set at 3 ft. 8 in. to allow as much shallow water as possible for training.